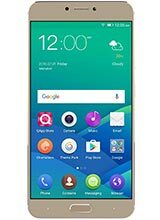 QMobile Z14 have the latest CPU form Mediatek [Helio P10] with speed of Octa-core (4x1.8 GHz Cortex-A53 & 4 x 1.0 GHz Cortex-A53) 32 GB ROM and 4 GB RAM Android 6.0.1 (Marshmallow) update able up to 7.0 Nougat that's why it have Amazing & fabulous features have which a man need in a low price. Other brands like Samsung and LG mobiles with that features are much expensive and a common man can not afford it. QMobile Z14 flash file which we share is read by CM2 MTK tool as a factory flash files so you can write that file with any chines flashing tool or Box you can flash this file with SP Flash tool at home the files is 100% tested and OK.
Before flash your phone tack full backup of your personal data after flashing all the user data will be lose and install latest version of MTK USB drivers on your PC.